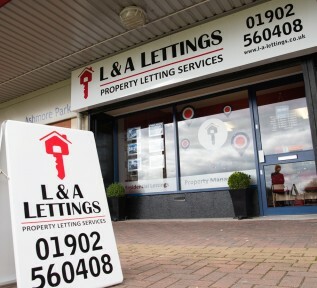 L&A Lettings, provide a high quality property lettings, and management services on behalf of landlords. For tenants, we know searching for your ideal property to rent can be quite challenging. Likewise, for landlords, we understand looking for the ideal tenant to rent your property can also be a challenge. By helping both tenants and landlords find the best of each other, we provide a sound resolution to both tenants and landlords. L&A Lettings is dedicated to consistently linking tenants to the ideal properties and helping owners rent their rental properties to the best tenants. To accomplish this, we offer excellent property management and tenant services to our clients. We are proud of providing safe and quality accommodations (from respectable and understanding landlords) to tenants we can trust. We have demonstrated our ability to mediate honestly and transparently between landlords and tenants over the years. We hope to build continuously on this for many more years to come. Whether a novice to property letting or a savvy Landlord, we can satisfy all your property management requirements. With properties in Willenhall, Wednesfield, Bloxwich, Wolverhampton, Cannock and Walsall, we offer a vast range of properties in the West Midlands for any tenant. Who are L & A Lettings ? L&A Lettings is a family run business who specialise in property lettings. We have been managing and letting properties across the Black Country and South Staffordshire since 2002. We have a large stock of houses for rent, as well as property investment opportunities for new and existing landlords. As Landlords ourselves, we are extremely responsible when it comes to managing valuable assets. We operate a fair and transparent system between landlords and tenants. Everybody is evaluated fairly and is subject to our screening process. Member of the National Landlord Association. Member of the UK Association of Letting Agents – who provide our client money protection scheme and The Ombudsman Services redress scheme. If you require further information or have any questions regarding lettings, please do not hesitate to contact us or call us directly on (01902) 560 408. 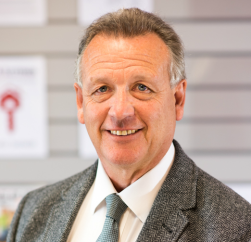 My name is Lyndon Whitehouse and together with my wife, Ann, in 2002 we began a journey in property investment, letting and management. We bought a property, with minimum knowledge and rented it out using a local letting agent. This whetted our appetite and we now have a large portfolio of properties ourselves which we let through our own agency, L&A Lettings Limited. Since those early days, we have become vastly experienced in property investment, letting and management. Our son and two daughters are involved in the business and are all landlords in their own right! Both daughters also have experience of being tenants. We are recognised by our local authorities as being accredited and trusted letting agents and work closely with council officials. We are represented and are influential on Council Landlord Steering Groups and have excellent relationships with all local authority’s Deposit Bond Schemes. I want you to understand that we acknowledge the anxieties faced by landlords when deciding whether to invest in property, or having entered into the letting business, in selecting a good letting agent..
WE HAVE FELT THOSE ANXIETIES TOO. See what we offer on our dedicated Landlord and Tenant pages. After achieving a qualification in business studies, Annie obtained employment and experience in the retail sector with Poundland. She has now transferred her customer service related skills into the private rented sector and is now a very capable lettings advisor. Lyndon is the director and owner of the Company. 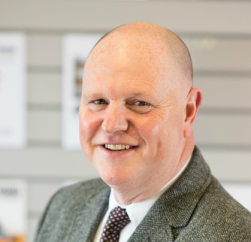 He joined the Police Service as a young 18 year old and whilst he was completing 30 years’ at the sharp end, together with his wife, he began to invest in buy to let properties in 2002.With his background and experience Lyndon has become a good assessor of people’s characters and has built a successful property portfolio and also a growing and thriving letting agency. He understands the fears and anxieties of landlords (he is one) and is able to make sound judgements on potential tenants. 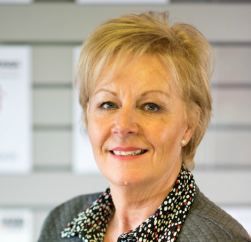 Ann is a partner in the company, Lyndon’s wife and is also a former Police Officer. Ann is a landlord in her own right and again understands all the fears that go with being just that! She is now well grounded and experienced in property management and is very resolute in her consideration of both landlord and tenant. Richard is a shareholder in the company, manager of the branch and is a landlord in his own right. After leaving school, Richard went to Sheffield University to study Maths and subsequently gained employment with a National Security Company, interviewing and assessing applicants wishing to enter that industry. 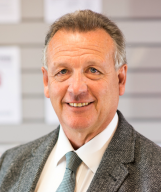 Richard joined L&A Lettings at its birth in 2010! 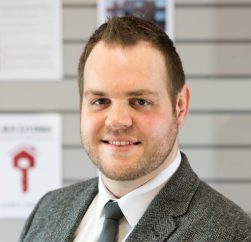 He is a key component in the operation of the company and has developed wide experience in the lettings industry. Jon served as a Police Officer for 32 years where he became acquainted with both Lyndon and Ann. This career was followed by a period in Education, working as a Teaching Assistant in the Wolverhampton area. Jon is a landlord in his own right and brings many life experiences to his current role. 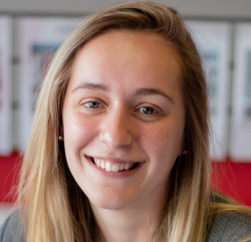 Beth joined L&A Lettings as an apprentice in 2015, having previously worked in the travel industry, focusing on customer service. 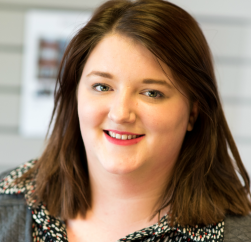 Beth is now a fully-fledged member of the team and is utilising her skills in property management administration. 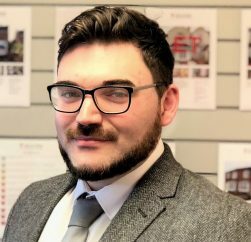 Glen joined L&A Lettings having obtained a degree in English Literature and spending 7 years in hospitality, he is now utilising his skills in the lettings industry which, has been an interest of his for quite some time. Paul served as a police officer for 30 years, working in Sandwell, Dudley and then Wolverhampton where he worked with both Lyndon and Ann. 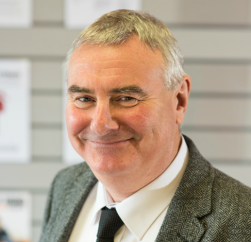 Paul is also a Landlord in his own right and brings the enthusiasm he has for his own properties into the company.